In this day and age, we realise that our clients and business partners need access to information and assistance at the touch of a button. With this in mind, GroCapital has been rolling out eAccounts to our clients to provide easier, real-time access to approved lending facilities. The current procedure is for GroCapital to transfer funds to a client’s bank account, after which the client can transfer the funds to creditors and other beneficiaries. Depending on the amounts and frequency of these transactions, charges can reach fairly sizeable amounts. With eAccounts, creditors and other beneficiaries can now be paid directly out of the GroCapital facility, subject to the availability of funds. Proof of payment is available immediately and can be sent to the beneficiary if this is required. Statements can also be drawn on accounts, with access up to 18 months prior. In certain instances, invoices relating to purchases done with AFGRI businesses may also be viewed and printed from the platform, making access to information a whole lot simpler and quicker. Moreover, transaction details can be viewed on all approved lending facilities i.e. working capital, term loans and installment sales as well as forex transactions done. Our relationship management team is actively rolling out the platform and we are excited to bring this easy-to-use and customer focused e-solution to all our clients to further enhance our service delivery. GroCapital Financial Services offers a range of services that can assist clients to mitigate risks when it comes to currency. This case study demonstrates how the currency risk of a medium- to long-term capital expenditure project, which involved the import of equipment, was mitigated thanks to the use of hedging facilities. Typically, a large project such as a plant or processing unit that needs to be erected over a period of time faces the challenge of currency risk from the date of quotation to assembly and final operation. This could result in significant cost overruns. In this particular case, the timeline and cash flows were determined beforehand and showed that a total amount of USD $13 million would need to be paid in tranches at different intervals over a period of 18 months. As with most projects, not everything is cast in stone and things changed during the duration of the project. The six-month restriction on Foreign Exchange Certificates (FEC) contracts was another challenge that needed to be addressed, given the lengthy period required to complete the project. A combination of Currency Futures (USD $10 million), FEC’s (USD $3 million) and Spot Conversions (paying for invoices in USD as they become due) was used effectively to address any currency risks over the 18-month period. FEC’s were used to hedge the 0-6 month currency exposure. The exact value of the payments and the maturity dates for the first 30% of the project were negotiated and fixed. The import order was calculated on the day it was processed and allowed for accurate budgeting and costing. An FEC for USD $3 million was put in place with a maturity date that matched the first payment date and invoices supplied. On that particular day the Spot rate was $/R 14.70 and the FEC rate quoted at $/R 14.80 (Spot plus forward points). On the payment date R 44,4 million (USD $3 million x 14.80) was debited against the client’s GroCapital facility and the equivalent USD $3 million paid to the supplier on behalf of the client. Currency Futures were used to hedge the remaining USD $10 million for the remaining 6-9 month, 9-12 month and 12-18 month currency exposure periods. The hedging calculation and cash flow were as follows: The importer had to pay for the remaining equipment to the value of USD $10 million and had to buy USD $10 million at R14.80 (Futures price). Therefore the remaining exposure was R148 million. The importer wanted to fix the landed cost and eliminate any currency risk, and therefore need to buy 10,000 Currency Futures contracts. The Futures moved from R14.80 to R15.20 (expiry date), resulting in a profit of R4 million. The profit was used to off-set the increase in the USD exchange rate because Spot moved from R14.70 to R15.20 (expiry date) that resulted in a loss of R5 million. The net difference between Spot and Future was R1 million (1,000 forward points) and this was the interest rate differential that was bought at day one. The physical US $10 million that was needed to pay for invoices on behalf of the importer was bought at an effective rate of R14.80 – R148 million (as per the budget). The gearing in Futures allows investors to gain substantially higher exposure than their capital would normally permit. In this case 10.88 % times gearing was reached (IM per contract /initial value of contract = R1,610 / R14,800). If the USD had weakened against the Rand (i.e. moved from R14.80 downwards to R14.50) then the importer would have paid R3 million, but the loss on the Futures would have been offset by the profit in the better Spot price. Another advantage of Currency Futures is that the client has the flexibility to change the nominal value (contract size) or roll positions to a future expiry (only pay fees on the next leg and not the exit leg) at any stage during the hedging period. Spot means the exchange of one currency for another. This is fixed immediately in respect of an underlying exchange commitment at a specified rate where settlement takes place two business days later. 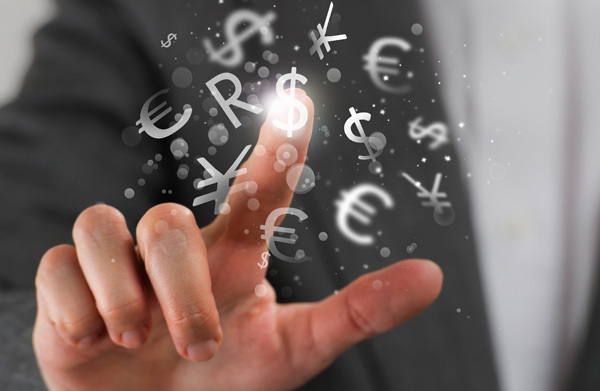 As GroCapital is authorised to trade Spot and pay for invoices or receive payments on behalf of clients in any foreign currency as they become due, in this situation, all the invoices to the amount of USD $13 million for the project were paid on the due dates to the suppliers and the project was completed successfully with no risk taken on currency fluctuations. GroCapital not only offers competitive rates and transaction fees to our clients but is committed to service excellence and flexibility. The above case study actively demonstrates how we were able to tailor specific solutions to meet a client’s exact needs. The JSE has relaunched the so-called “beef contract” as the South African beef market is one of the fastest-growing sectors in the agricultural industry. One of the first products to be listed when the Agricultural Markets Division of the former South African Futures Exchange (SAFEX) was launched in 1995, the beef contract (or beef carcass futures contract as it is also known) was delisted due to a lack of support through trading activity (lack of liquidity). However, given a revitalised beef industry, the JSE recently re-introduced the futures contract, which aims to offer investors protection against market volatility. Typically, this product is used by those with a vested interest in protecting themselves against adverse price movements in the South African Beef market. The contract provides cattle producers (commercial and emerging farmers), sellers (abattoirs), wholesalers and retailers protection against seasonal risk that affects the price of beef. In short, in terms of the contract specification, the beef carcass contract is priced and traded in Rands per kg, and on expiration, the contract will be settled in cash. No participant (defined as a member or registered client) or associated group of participants may hold in excess of 1,450 contracts as a net position across all listed expiries. This position limit may be adjusted from time to time. 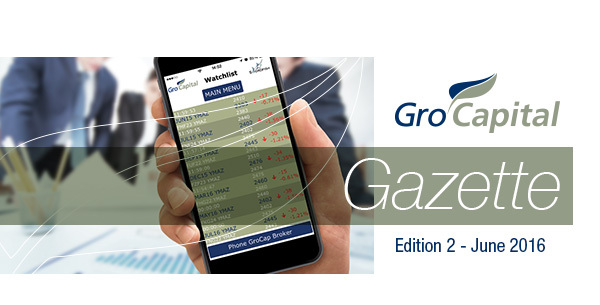 For more detail regarding the beef carcass futures contract, click on the button below, or alternatively please contact the GroCapital brokers on 011 063 2723 for further information. GroCapital is delighted to announce the imminent opening of our new office in Stellenbosch, a move that will ensure our ability to stay even more connected with our clients in the Western Cape.